I learnt massage in India in Ayurvedic style which combine the use of herbal oils for various body problems as per ancient studies. I also learnt Tantra, Yoga & meditation for peace. In US, I studied Massage Therapy & bodywork from Potomac Massage Training Institute, DC. I graduated in 2007 & started working in the Graduate Clinic. I am trained in Swedish Massage, Deep Tissue Massage, Thai Yoga, Myoskeletal Massage, Hot stones, all types of body scrubs, foot scrubs, facial, head massage, chair massage. I am impressed by Myoskeletal Massage techniques taught by Dr. Dalton, and find these techniques help me give more relaxation to my clients suffering from pain, stress, tension caused by Sciatica, Fibromyaolgia, Lyme disease etc. I am also interested in Lomi Lomi Massage which I feel is very grounded. I also learnt to work on clients operated upon for "Breast cancer" and learnt very tender lympathetic massage, which is very compassionate, soothing and relaxing. I try to give customized massage to my clients as per their body problems. This entry was posted in Dr. 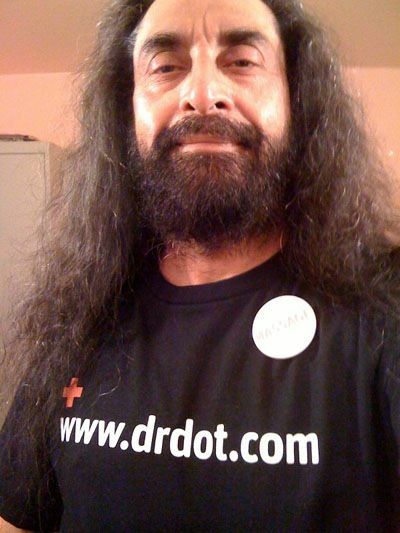 Dot and tagged all, baltimore, blog, body, chair, dc, deep, dot, dr, facial, foot, head, hot, in, lomi, massage, md, myoskeletal, of, scrubs, stones, team, thai, therapist, therapy, tissue, types, washington, wedish, yoga by Dr. Dot. Bookmark the permalink.